As the end of the year approaches, we want to do everything possible to make this period as pleasant as possible for our pets. In this article we provide you with advice on how you can prevent your puppy or kitten from getting scared of fireworks. In addition, we give general tips on simple adjustments you can make to your pet's surroundings to protect them from all the fireworks noise during New Year' Eve or Bonfire Night. You can try to prevent a fear of fireworks in young animals early. Young animals may still be unfamiliar with loud noises. 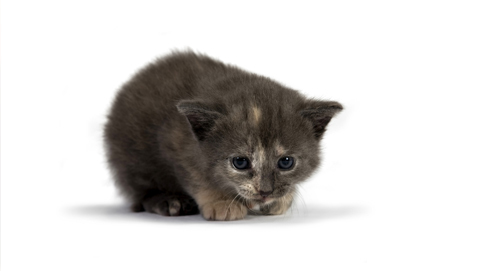 A real phobia of loud noises is created when a young animal has a traumatic experience. So you can prevent a lot of problems by socialising a puppy or kitten properly, getting them familiar with (loud) noises. Allowing your pet to get used to loud noises is best done gradually, using behavioural training taught by a trainer or at home using a fireworks CD for dogs. If your pet doesn't have a real phobia of fireworks, it may still be startled by all of the noise. Here are some tips to make the fireworks period go as smoothly as possible for your pet. Even if your dog is not afraid of fireworks, do prevent fireworks from getting too close to your dog. This may cause it to develop a fear of fireworks and/or other loud noises that could last for the rest of its life. Try to go for walks in areas where no fireworks will be set off, like in the forest. Take into account carbide shooting. Keep your dog on the leash when you go for walks. This stops your dog from running away when it gets startled. On Bonfire Night or New Year's Eve, give your dog a tasty bone to chew on or a toy and put some music on. Make sure that there is always someone around your dog during firework events. It is best to close the curtains as dogs are likely to be scared of light flashes from outside. It is important for the owner to stay calm too. Don't constantly keep checking the dog to see if it is all right. Do let the dog sit with you and give it the support it needs. Prevent your dog from chewing on the remains of fireworks. Cats feel comfortable when they can hide away, so try to give your cat a place to hide away in (e.g. put a cardboard box in the house). Get the cat inside in good time and prevent the cat from going back out. Flashes of light are the main problem for birds, rabbits and guinea pigs. You should close the curtains and put a piece of material over their cage if necessary. Rabbits and guinea pigs also like to hide, give them a place to do so. The Thundershirt has been available for some time. This shirt exercises a soft, constant pressure on the body and has a calming effect on the animal's nervous system, making it suitable to support anxious and nervous animals. Telizen: contains L-theanine (and green tea extract) must be administered for at least 2 months to achieve the best possible result. Zylkène: contains the active substance of alpha-casozepine, a milk protein derivative with soothing proteins. Adaptil Tablets contains gamma-Aminobutyric acid (GABA), tryptophan, theanine and B vitamins. Works within 2 hours and can be used daily at short notice. Besides the aforementioned, there are many other supplements that you can use to support your pet during New Year' Eve or Bonfire Night. Have a look at our fireworks page for all our products. Besides supplements there is also a special diet that you can provide to support your pet, such as the Royal Canin Calm Diet Dog or Royal Canin Calm Diet Cat. For use over a couple of days around Bonfire Night or New Year's, your veterinarian can also prescribe calming products such as Diazepam and Alprazolam. It is now known that Acepromazine is not suitable for use to treat a fear of fireworks, because it makes your pet more sensitive to fireworks, while making them unable to react to them. Vetsend.co.uk advises you not to use Vétranquil or Tranquigel around Bonfire Night or New Year's. We wish you lots of luck and hope that you and your pet have a relaxed Bonfire Night and a happy New Year! For small dogs (under 15kg) suffering from stress. Applies gentle, steady pressure to calm dogs. Applies gentle, steady pressure to calm cats.